Everything is fine. The room was spotless, tidy and quite spacey. It was a spacious, luxury apartment and very comfortable for a large party of family to stay together without feeling cramped. The location is fantastic - right near shops, bars and restaurants. 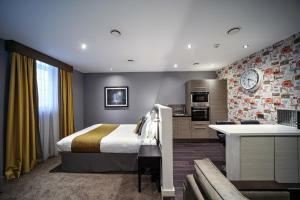 I like thats its near with the city centre and the staff are really helpful during our stay. The apartment that we stays in are beautiful and exceeds our expectation. Would love to stay here again if I come back to visit liverpool. Staff extremely helpful and friendly. Apartment was very well kept. Everything was fine. 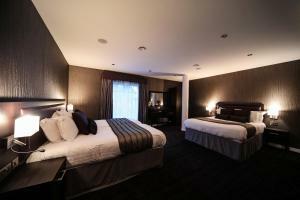 On your own, high quality accommodation.. .comfy beds and close to all amenities. Tesco at bottom of street if self catering. Receptionist was great.Room was clean. Bed v comfy . Great location and for price very good place to stay. Lock in a great price for Epic Apart Hotel - Seel Street – rated 9.1 by recent guests! 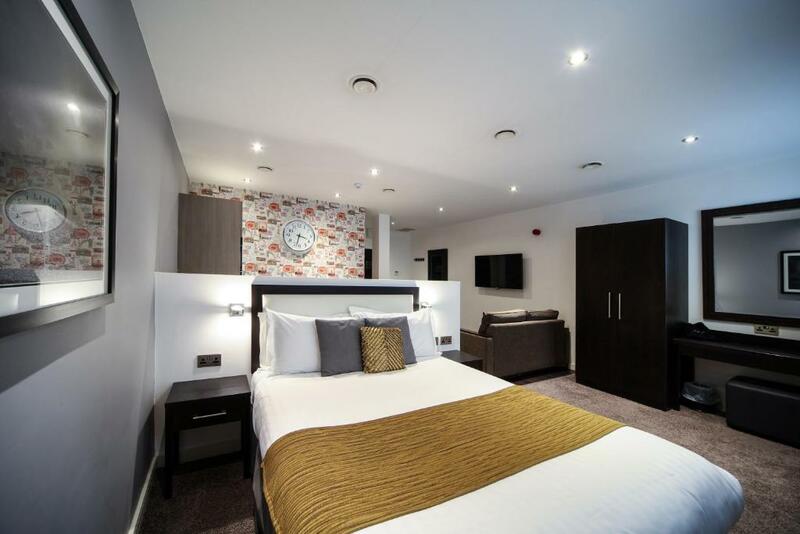 Epic Apart Hotel - Seel Street This rating is a reflection of how the property compares to the industry standard when it comes to price, facilities and services available. It's based on a self-evaluation by the property. Use this rating to help choose your stay! Located in the heart of Liverpool city center, Epic Apart Hotel offers furnished apartments with free Wi-Fi, just a 10-minute walk from Liverpool Central rail station. 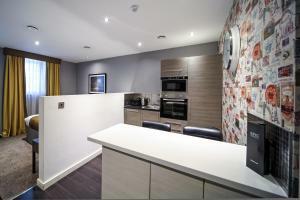 Each Epic Apart Hotel apartment features a kitchen, lounge and dining area. An private bathroom and flat-screen TV are also provided. Liverpool One shopping center is just a 2-minute walk away and features a wide variety of shops, dining options and a 14-screen cinema. The Albert Dock area is a 10-minute walk from the apartments and includes the Tate Liverpool art gallery and The Beatles Story museum and tour. Liverpool John Lennon Airport approximately 7 miles away. This is our guests' favorite part of Liverpool, according to independent reviews. This property also has one of the top-rated locations in Liverpool! Guests are happier about it compared to other properties in the area. This property is also rated for the best value in Liverpool! Guests are getting more for their money when compared to other properties in this city. 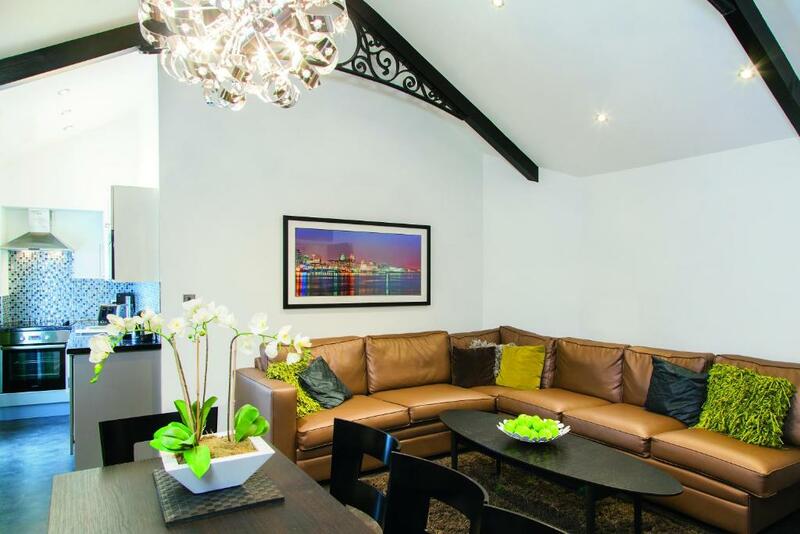 뀐 Located in the real heart of Liverpool, this property has an excellent location score of 9.4! 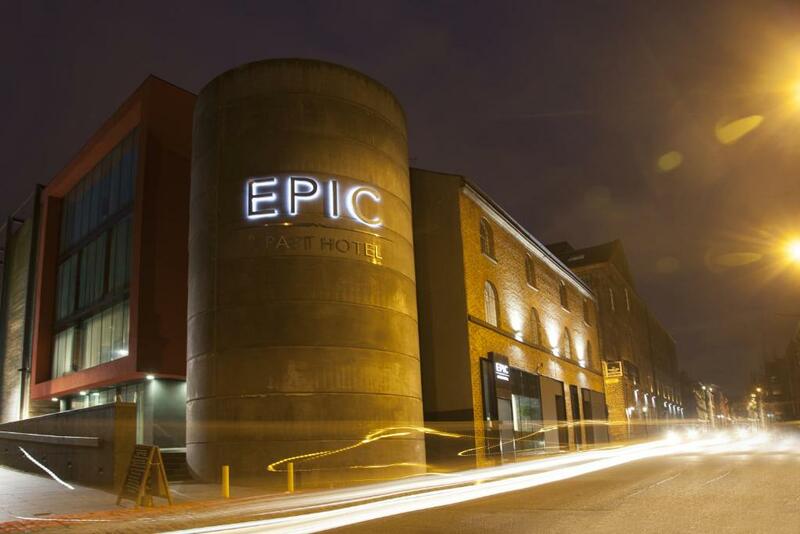 When would you like to stay at Epic Apart Hotel - Seel Street? This studio apartment offers an open-plan living space with kitchen, dining, lounge and bedroom facilities in one. Free Wi-Fi is also available. Public parking is available at a location nearby (reservation is not needed) and costs GBP 6 per day. These apartments offer a personal living space with kitchen, dining and lounge areas, along with a separate bedroom and bathroom. Free Wi-Fi and sofa bed facilities are also provided. 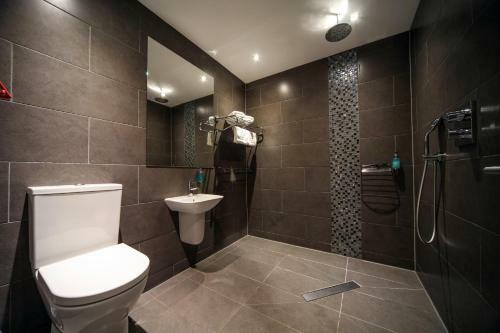 This apartment features 2 separate bedrooms with bathrooms or en suite wet rooms. A kitchen, dining area and lounge is provided, along with free Wi-Fi. This apartment features 3 separate bedrooms with bathrooms or en suite wet rooms. A kitchen, dining area and lounge is provided, along with free Wi-Fi. This apartment features a seating area, electric kettle and microwave. This apartment has a sofa, seating area and dining area. Split over two floors, the EPIC Penthouse boats 3 double bedrooms which each have a double bathroom. There is a fully fitted kitchen and the living/dining area features a 60 inch TV. A full Sky Package is included. The Penthouse features a bar and super-fast WiFi. Guests can enjoy the Bluetooth sound system on the upper floor of the Penthouse. A maximum of 4 non residents are allowed in the Penthouse until 23:00. Located in the L1 district of Liverpool at the heart of our thriving city, Epic Apart Hotel presents an alternative luxury to a city centre hotel, with more space and more home comforts at exceptional value. Offering a wide range of apartments from one-bed studios to two and three bedroom apartments, Epic is the ideal place to stay for both leisure and business travellers. Staying at Epic gives you every opportunity to explore Liverpool with direct access to the cities best shops, restaurants, tourist attractions, nightlife and more. House Rules Epic Apart Hotel - Seel Street takes special requests – add in the next step! Epic Apart Hotel - Seel Street accepts these cards and reserves the right to temporarily hold an amount prior to arrival. Please note that Epic Apart Hotel do not permit nonresidents. Please note Epic Serviced Apartments on Duke St do not have a reception area and guests will be required to check-in at Epic Apart Hotel, located at 25-27 Seel St, Liverpool, L1 4AU. Early check-in and late check-out may be available for an additional charge but cannot be guaranteed. Please note that checks and bank transfers will not be accepted. The card used to make the payment must be provided on check-in. The lead guest must be at least 21 years of age as per the terms and conditions accepted at the time of booking. Proof of identification and date of birth may be requested on arrival and if not presented on request, Epic Apart Hotel reserve the right to cancel the booking. A security deposit between GBP 150 and GBP 500 per apartment is required upon arrival for incidentals. This deposit is fully refundable upon check-out and subject to a damage inspection of the accommodations. A valid credit card is required from the lead guest to hold this deposit. Cash will not be accepted. If your security deposit does not cover the total additional charges, Epic Apart Hotel will be entitled to recover this from guests without delay. All guests must be at least 21 years of age as per the terms and conditions accepted at the time of booking. All guests are required to show photo identification upon check-in. The lead guest must provide true names of all guests staying in the apartments. Guest names will be provided to security at night. 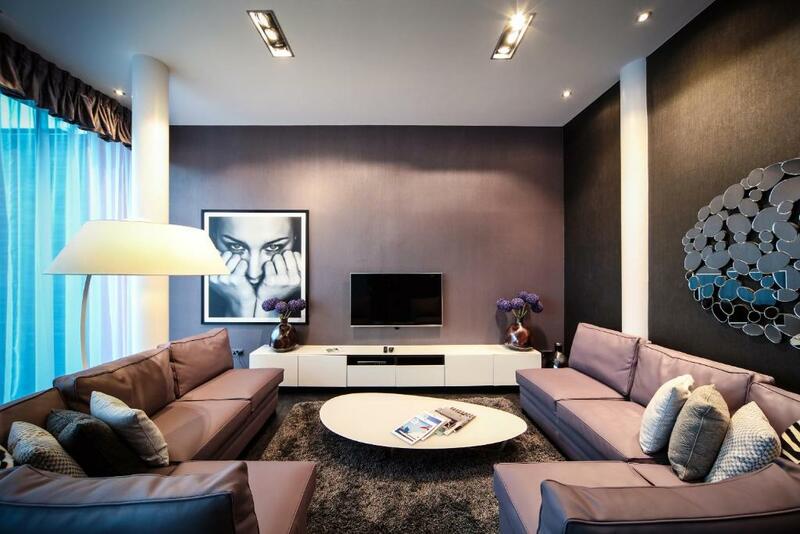 The Penthouse sleeps a maximum of 8 people, and 4 nonresidents are allowed in the Penthouse until 23:00. The Security Deposit is GBP 400 and must be paid via one valid credit/debit card on arrival. This will cover damages, excess cleaning and charges incurred during your stay due to noise. The property reserves the right to add an extra security guard for the apartment. This will be discussed at the time of booking and will incur an extra cost. Please note the property has a strict no party policy. Please inform Epic Apart Hotel - Seel Street of your expected arrival time in advance. You can use the Special Requests box when booking, or contact the property directly using the contact details in your confirmation. Pictures look bigger than what the room actually is. When I asked about the parking I wasn't made aware of location on the €6 a day car park . I was told about the q car park thinking it was £6 a day nope it cost us £27. A sign needs to go on the door of apartment entrance to make people aware of reception being over the road. The apartment was spacious, really clean and comfortable. The staff were very helpful. Apartment was a good size. Staff friendly and very helpful. Great location. The hotel bar next to reception did not have the range of drinks which were on the drinks menu. The lights are a bit dim for someone with a visual disability, the music a little loud for conversation but that is personal preference. Over all a great location. The apartment kitchen needs some maintenance, but lovely design. Just niggles. The apartment was a good size. The staff very accommodating for my elderly fathers requirements and made sure that we got into the apartment straight after our stay . Took us over to show the disabled access point ( which you need two people for, but I am sure staff would assist if asked). Central 24hr secure parking is a six minute walk away (1 Heathfield Street - use Secure a spot in the internet) the nearby parking is £2 per hour in the day which is too expensive. However we used it for unloading and reloading the car. The location, although I think it would be noisy at the weekend. The sofa bed mattress was not good. We found used drug wrappers stashed down the side of the couch, which we wasn’t to bothered about as it does state that it’s a party apartment, However we stayed for our friends 30th birthday 10 girls in 1 big room, which we thought the apartment was for hen/stag do’s! However the hotel emailed us to say we would loose some of our deposit because of noise! We was out in Liverpool for a day sesh we got in about 9.30pm and was asleep for 11pm! There for don’t see why we we got they took money from us for noise, they said family’s complained! So if large numbers staying DONT STAY!!! The apartment was big ,staff was friendly!